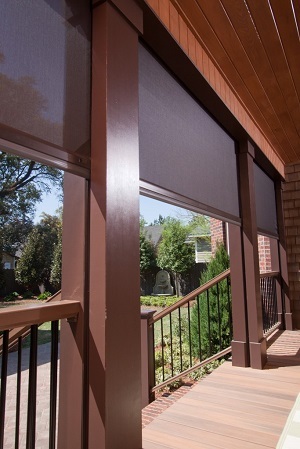 Protect your porch or patio or enjoy the view with a motorized retractable screen. Imagine having motorized screens that disappear at the touch of a button. Or being able to screen a folding glass wall. Imagine being able to move seamlessly between indoor and outdoor spaces - without the intense glare of the sun or pesky insects. Thanks to Phantom’s motorized retractable screens and Sorci Construction Services' expertise in installing them, enjoying the outdoors without the hassle is easier than ever. All of our technicians are fully trained and certified to install the retractable screens your home needs to better connect with Mother Nature. 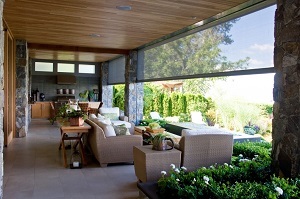 With Phantom Screens, outdoor living is an insect-free pleasure and summer entertaining at home is stress-free! To discover how a motorized retractable screen can benefit large spaces around your home, schedule a free estimate with Sorci Construction Services today! 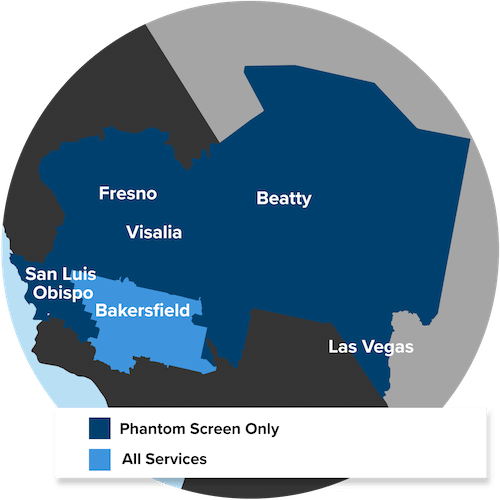 We offer our services in Central California & Southern Nevada and cities nearby. We'll ensure your retractable screen blends into the aesthetic appeal of the surrounding area. A motorized retractable screen from Phantom can help you enclose a porch, patio, veranda, balcony, folding walls, or even big windows and doors. This system can be surface mounted or recessed into the walls, columns and ceilings surrounding a large opening. The biggest benefit of a motorized system is that you don't need to be able to reach the screen to push it into its housing or to pull it back down. And like other Phantom retractable screens, their motorized screen offers solar shading, insect protection, fresh air ventilation, and can drastically lower your air conditioning costs. Phantom Screens has decades of experience creating top-quality retractable screens for doors, windows, and more. Their continuous dedication to improving their product over time has resulted in unique features not available by other manufacturers and attention to customers' desires. The Phantom Executive series of retractable screens are motorized for extreme ease-of-use and are geared towards large openings. Executive screens are custom made and professionally installed to fit and match a wide variety of areas. If you wish your family would spend more time in your outdoor living space, a motorized retractable screen might be the perfect way to convince them. This screen is there when you need it - on a particularly hot or buggy day, for instance - but it can just as easily go away when the weather is great. Sorci Construction Services has many years of experience installing all kinds of retractable screens, and we're excited to help you find the option that works best for you! To get started on your retractable screen installation, call us at 1-844-385-9585 or contact us online. We offer free estimates throughout Fresno, Bakersfield, Las Vegas - schedule yours today!